The new MyLifeOrganized version for iOS: the long-awaited Calendar View and other features. The MLO team is proud that we are developing our app together with the users. We listen to your ideas and suggestions and try to implement the most demanded ones. We believe that the best products are created in close cooperation with their users. And we confirmed this statement with the new version of MyLifeOrganized for iOS, which was recently released. Specially for this release we also prepared a surprise for MLO users, which we will discribe in the end of the article. Our clients often suggested that we add a Calendar View feature to MyLifeOrganized. The decision was hard for us. Users suggested their own variants of the calendar view, trying to combine two completely different elements - tasks and events. We finally made a decision and development started. This view was announced like one of the new functions of MLO for iOS v2, and it’s time to present it. Previously there were three main build-it views in MLO - Inbox, Starred, and Nearby. And for the latest version we developed a new Calendar View, which presents the information in a graph form. The graph shows your everyday workload with MLO tasks and calendar events, which allows you to plan your time more effectively. In the Calendar View you will see those tasks, which have start date or completion date on the selected day. Events will upload from calendars registered on this device. For example, it could be your Google calendar. The user can select the calendar she wants to use for displaying in MyLifeOrganized. The duration of calendar events is illustrated on the special timeline under the graph, which also contains a mark of the current time. The Calendar View allows you to see not only the workload for the next few weeks, but also the statistics of already-passed days. This means that we can plan and predict, and besides that - analyze our earlier productivity for completing tasks. There are different settings and filters for the Calendar View. It is possible to enlarge the scale of the graph, disable the display of events, and select certain tasks for showing on the graph. If you add a new task in this view, it will receive the selected date. To learn more about these features, watch our video, which was made especially for you. We prepared a few more new features in the new version besides Calendar View. Firstly, it is now possible to copy phrases from text editors and simply paste them to MLO like new tasks. You can also type several phrases with indentions, paste to MyLifeOrganized, and you will get a complete tree structure with all the tasks and subtasks. Secondly, now you can send all the data from MLO, including custom views, right to your email, and in case of changing the device, you should simply unpack all the information. As we said before, the new version is released for iOS devices and supports iOS 8 and iPhone 6/iPhone 6 Plus. It is already available for download. Later we are planning to expand Calendar View to other platforms. We also made a special present for our users - you can get one month, one year or even two years of free MLO Cloud Sync! The conditions of participation are very easy - everyone, who writes a review on the AppStore about the new Calendar View in MLO for iPhone and iPad, will get a Cloud Sync subscription. Please, note that we really need your honest opinion. You will receive free 1-month subscription and will participate in the contest even if your review is critical. 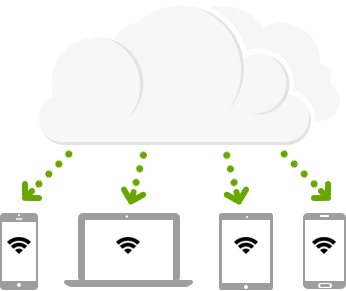 Just read the conditions of paticipation, join the contest and get free Cloud Sync. We have MLO for iPhone and iPad. What about Mac? 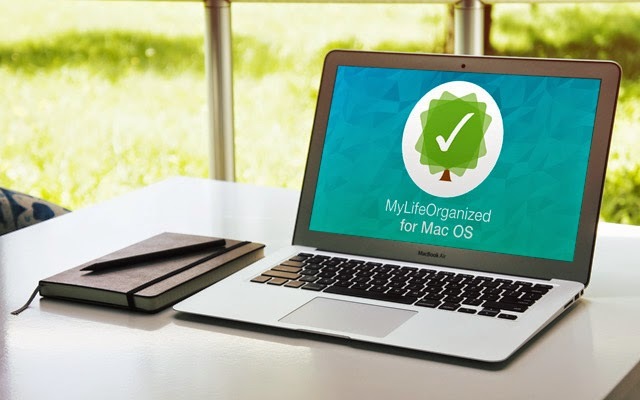 Now we are thinking about one more important project - development of the native MyLifeOrganized application for Mac. Please, subscribe for the newsletter, if you are interested in MLO for Mac. The more people we have in the subscription list, the more chances we develop the native Mac version soon. 1. Most important for calendar view: if I have a start date for a task and an end date than I need to see that particular task on all days between start and end date. Most of us, I guess, define an end date as a must have. Therefore for me many tasks should be finished latest on the end date. Start date is just the buffer time to complete the task. 2. Once you introduced the active tasks to the calendar (see 1. Above) I would be happy to see the tasks on a particular day in calendar view in an order accordingly to selections made for the task ,i.e.according to the overall score for importance urgency etc. Once you added those 2 ideas I could start to use MLO far more efficiently. The actual implementation however is a well made first start. Thank you so much for the implementation of the calendar view and the video tutorials!!!! I do have one question, would it be possible to edit the calendar items from MLO? No, MLO does not allow editing the appointment at the moment. It provides your events only in read only mode for you to see your current workload. Andrey - the calendar feature and the video tutorial are great. How about allowing tasks to be created related to the calendar entries? In my case that would include tasks to prepare before, or follow-up tasks afterwards. That's cool feature. But it's not related to me because I'm an Android user. I should suffer. Is it fair that Windows users pay the same and don't get the same functionality either in Windows or Android?